Many of my clients are not clear about what is hosting when they start working with me on creating their web site . In this article I want to explain what hosting is, why it is important to choose the right hosting company if you want your site to succeed . A web host, or web hosting provider is a service that allows individuals and organizations to make their website accessible via the internet. The Web hosting company leases you a space on a server to store all kinds of files that you can access over the Internet. When we talk about hosting a website, it is the place where that web page is stored. I also realize that many times my clients confuse the concept of hosting with the domain. The domain is the address of your website, for example: yourdomain.com. 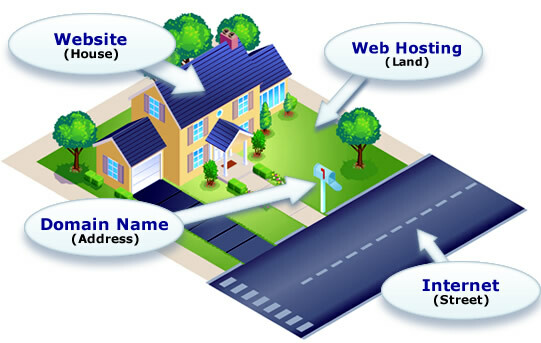 Example: A domain name, is the address of your home; web hosting is the lot your house sites on, your website is the house and your files are the furniture in the house. Why is hosting your website so important? Below I have a list of reasons why your hosting is important to the success of your blog or website. Location: Where your hosting provider is located greatly affects your search engine ranking locally. It is always recommended that the servers of your hosting provider are in the country in which you are interested in ranking. Customer service: If the customer service is poor it is likely that if you ever run into issues you will have a hard time getting them fixed. This means that if your site goes down it could be that way for hours, days or even weeks. If this happens you can lose hundreds of dollars. Security: Your hosting provider should help you maintain a secure Website preventing malicious attacks, analysis of your files for malware, back up your blog, etc. Ease when working: There are hosting providers that are intended for people with advanced knowledge and others are more focused on the general public. This means that they make many processes easy, such as installing WordPress , setting up an email account, etc. What to keep in mind when choosing a hosting provider? Location of servers: Like I said before, the place where the hosting provider is influences your local ranking. If you want to rank yourself in United States, you should not hire a hosting provider that only has servers in the Spain, because it will take longer to rank yourself locally. Software and Apps: More and more hosting providers specialized in specific applications. For example, if you are installing WordPress, a provider specializing in WordPress would work for you, as it will greatly simplify the process and provide you with specialized support. Dedicated or shared: Shared hosting is the most common option, although each person has their own site, different customers are hosted on the same server. It is cheaper and with a quality hosting provider you will not have any problems. The disadvantage is that the load of some webs can affect the others. For example if one site on the server gets a huge increase in traffic it can effect your sites speed. Dedicated hosting is when you have an exclusive server for your site. This is a more expensive option but it’s great for sites that gets lots of visitors a day and need there own hardware to run at top performance. Data Usage: This refers to the amount of traffic that your site can support without collapsing. If you go over your data your website will be replaced by an error message. Number of websites: There are hosting plans that are designed for a single website and others that allow multiple sites. Backups: It is very important to make regular backups of your web pages. If you have any unexpected problem, you can always revert to a previous version and repair the damage. A backup will save your life if your website breaks when you update something, if it is hacked or infected by viruses. Not doing regular backups is a risk that you should not take. Customer service: You want to find a hosting company with good and quick responding customer service just in-case a problem might arise with your site. Installing Applications: Many hosting providers already include automatic application installers for different functions, such as WordPress to create sites. Do not complicate your life by trying a manual installation when you can install a website with one click. These are three of the hosting providers I’m using right now for various sites. All three have reasonably priced plans that include most of the features that I consider important for hosting your website. They vary a little in price but also in conditions, so you have to see what your priorities are. All of them also offer the free transfer of your website from another provider. Thanks for the tips! I was so lost when I was looking for a hosting site. this provides some great details that really help. These are great tips. I wish I had researched more before I started my website. This article would have really been useful. This is such a super helpful post. I wish I’d read this when I first started out, as I didn’t have a clue! Lol. Thank you for your expertise, Brian. This is a great post. Something I wish I’d came across before starting my blog. I went with a random host provider and will be making the switch to blue host once my contract is up! Super helpful as always. So funny I used that same house analogy to explain hosting to my clients, didn’t know it was a thing. Very helpful. Thanks for sharing this Brian. Great analogy with the house, by the way. It’s always best to do research and know all your options. Good web hosting makes or breaks a site! Amazing tips that truely helpful, I will keep most of them in head, thankss for sharing ! 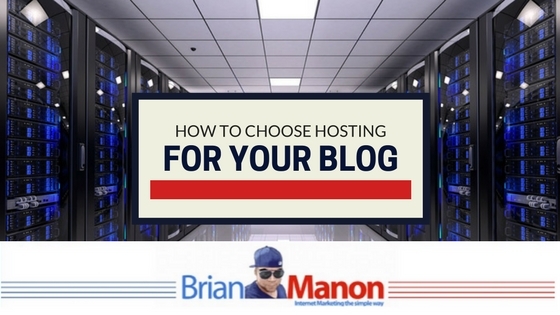 Choosing a great web host is #1 important for our blogs and businesses, as you know. I like that you listed SiteGround as first choice. Too many are seeking the “cheapest” price and later suffer with poor customer/technical service and downtime. I’m glad you spelled it out in great detail. Passing it along. I know Bluehost is a decent hosting company. Their customer service is quite good. They’re always willing to help. At least that’s been my experience with them. This is something I wish I had read when I first got started. Very helpful info! This is very informative post. So many blogger friends ask about this, I’ll refer them to this! Great information! Thank you for clarifying. Thanks for sharing! I actually am switching over my blog to WordPress.org right now and have been trying to figure out who to go with for hosting, so this was super helpful! Great information! I completely agree about hosting your own website, instead of using an established blogging site.